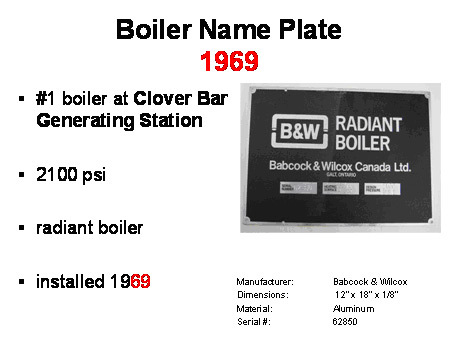 This nameplate was on the #1 boiler at the Clover Bar Generating Station, which was installed in 1969. The boiler was a 2100 psi Radiant Boiler. Dimensions: 12" x 18" x 1/8"